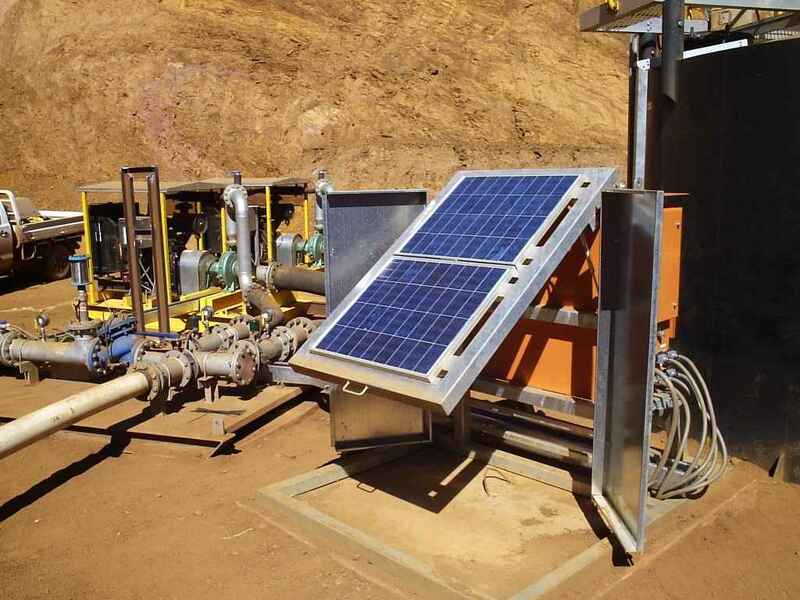 Petro Min Engineers have a developed a solar powered pump station controller for remote areas where diesel powered pumps are used. In these locations there is no mains power available. 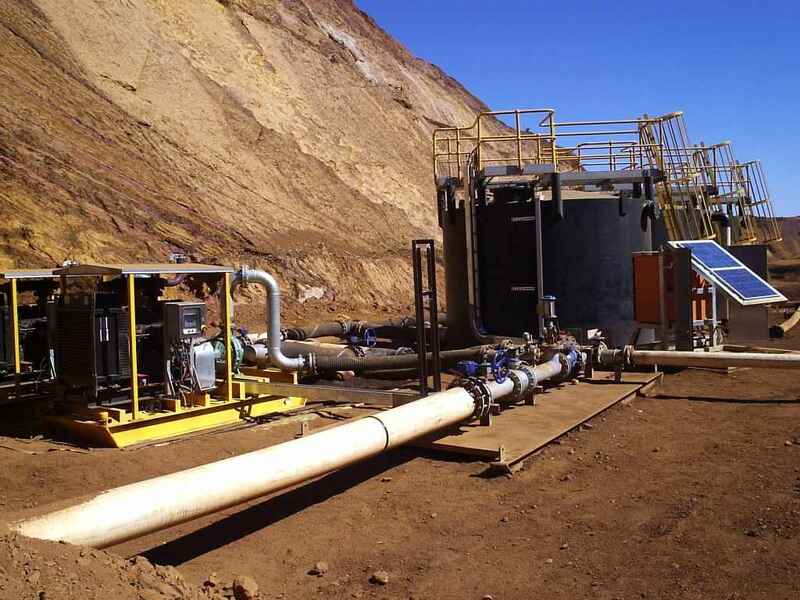 Our controllers will monitor levels in break tanks or dams and start and stop the diesel pumps as required. Using the pumps in variable speed mode is possible. The systems developed by PME interface with most diesel pump controllers. The panels can be fitted with telemetry equipment and radios to enable connection to the site SCADA and monitoring alarm. A radio / telemetry interface also allows for the interface of upstream and downstream dams or pump stations if required. 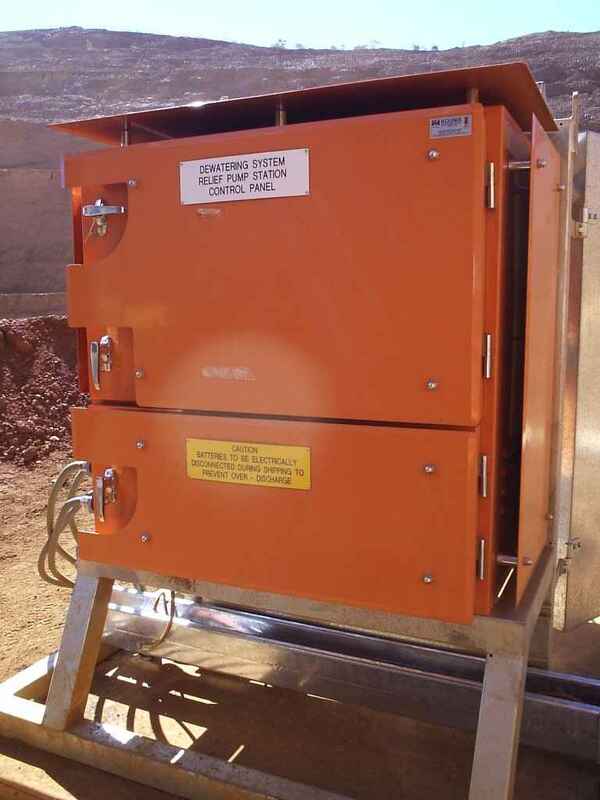 The in pit unit shown in the photos also has blast protection for the solar panel/s which allows a protective door to be closed over the panels to protect from ‘fly rock’ damage from in pit blasting.